As an authorized Hunter Douglas Gallery Dealer, Speedwell Design Center in Morristown, New Jersey, offers a large selection of Hunter Douglas window shades, custom-designed to meet your lifestyle and budget. We have the largest selection of Hunter Douglas products in Morris County and the tri-state area and feature 40 of their best operating displays in our showroom. Hunter Douglas DUETTE® cellular shades are designed with a honeycomb construction that provides beauty and energy efficiency. Insulate your home and lower your energy bills with this top choice for windows, skylights and specialty windows. Choose from an extensive array of pleat sizes, colors, fabrics, textures and innovative operating system options. Hunter Douglas Vignette® Roman shades are modern, low maintenance and easy to clean, and they come in a variety of sizes, fold styles and fabrics. 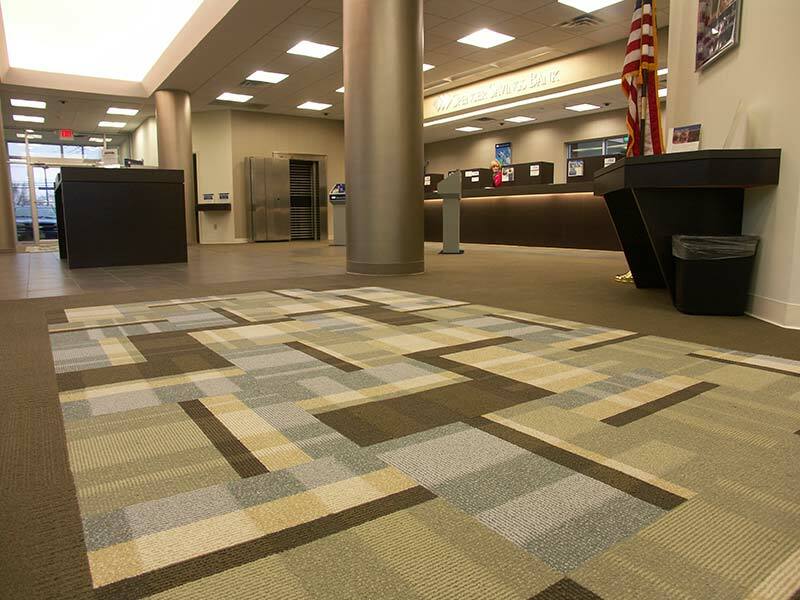 Solera® soft shades are made with a cellular construction in woven and nonwoven fabrics to create a fluid, sculpted look. Design Studio™ Roman shades come in four traditional styles and a wide array of fabrics that never go out of style. Choose roller and solar roller shades for excellent light control and a clean, modern look. Sonnette™ cellular roller shades provide ambiance and character while gently diffusing light through their curved shape. Our Designer Screen shades offer varying levels of openness for outstanding UV protection, while our Designer Roller shades offer the simplicity, versatility and premium style you want in a shade. 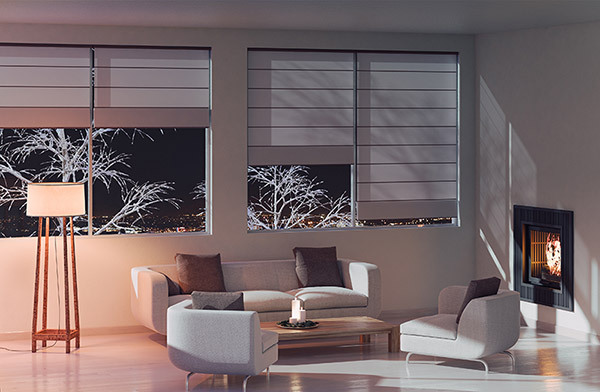 Designer Banded shades combine a roller shade and sheer shading with alternating sheer and solid fabric bands for the ultimate in light control and privacy. Liven up your home with bold, modern colors in our cost-effective pleated shades that offer privacy with a view. Simple yet modern, they come in various colors, designs and textures to create a crisp, tailored look you’ll love. They’re a popular choice for various window shapes but are especially suited for bay and corner windows, and patio, sliding glass and French doors. Woven wood shades provide a natural, textured look. Provenance® woven wood shades are hand-woven from natural fibers to add natural beauty to any window. Alustra® Woven Textures® offer a sophisticated design and an artful blend of unique fibers for an innovative alternative to woven wood. Our talented designers can help you create the perfect window treatments for your home, and we can often have your customized Hunter Douglas shades to you in as little as two weeks. Contact us at 973-538-9090 973-538-9090 to start designing your shades today. Fill out the form below to contact us to set up a free consultation, showroom visit or any general questions.